I love to come home! That's how I and many others feel about the Delaware shore area- a place to call home with endless opportunities for adventure and relaxing all at the same time. My heart loves helping others find a place that makes them proud to call home- a place they need less vacations from. My lifelong passion to help others began with my professional career as an elementary school teacher where I taught for 11 years. During this time, I developed my ability to plan, follow through, and execute while communicating with team members every step of the way. I am known for high levels of drive, a positive attitude towards every endeavor I take on, and ethical and moral standards that exude professionalism; I strive not to just meet expectations but to surpass them. I am a Native Delawarean, born and raised in Sussex County, Delaware. I grew up on the west side of the county and loved the hometown feel and childhood memories I experienced. I attended the University of Delaware where I received a Bachelor's of Science degree and later obtained my Masters of Education degree through Wilmington University. I married my high school sweetheart, John Wheatley, and we have been happily married for 11 years. For our two children, Emmett 9 and Macy 6, we wanted them to grow up in a place that not only meets the needs of our family and their education but also stimulates their need for adventure and creativity. During our financial journey, we became immense fans of Dave Ramsay, the financial guru, that preaches monetary self-control and living like no one else so that one day you can give like no one else. We began to see doors open and opportunities to seek out lifelong goals we were passionate about. We decided to relocate to the eastern side of the county where our children would have a rural area to grow up in with a small hometown, thriving school district, and an adventure experience that only the Delaware shore can provide. With this came a tremendous leap of faith. I stopped my job as a teacher, volunteered in schools and passionately focused my energy into real estate. 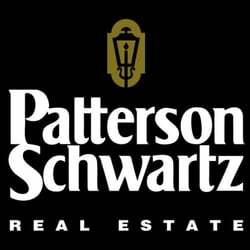 Being affiliated with Patterson-Schwartz Associates in Rehoboth Beach, Delaware and Delaware Shore Properties, a local business serving the shore successfully since 2002, I have not only the motivation but also the resources to make dreams become actuality. During my family's home journey, we have lived in multiple different homes giving me a unique eye for what types of properties will meet your needs and first- hand experience in buying and selling from the perspective of a first time homebuyer, second home purchaser, rental property, as well as a new construction home. Buying and selling homes are amongst the most important and crucial decisions of our lives. You need someone knowledgeable about the area and dedicated to your best interests. I would love to help make your home and financial goals a reality.